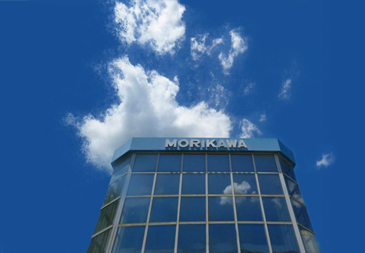 As part of its social responsibility, Morikawa Industries Corporation (hereinafter referred to as “Company”) has implemented the following policies to protect information by which customers can be identified (hereinafter referred to as “personal information”) based on the “Act on the Protection of Personal Information” (hereinafter referred to as “Personal Information Protection Act”). The Company uses personal information only for the following purposes. If it is necessary to use personal information for any other purpose, the agreement of the person concerned will be obtained in each such case. 1) Personal information on business activities related to goods or services handled by the Company (including new products). 2) Execution of the business of the Company, such product shipment, after-sales service, replies to inquiries from customers, etc. 3) Content of corporate information of the Company such as various events, etc. Without valid reason, the Company will not disclose personal information provided by customers, suppliers, or others with which the company has transactions to any third party other than those to which work has been consigned (subcontractors) or those succeeding to the related business of the Company. If it is necessary to disclose personal information provided by a customer or others to any other third party, except under special circumstances, efforts shall be made to prevent leaks or secondary disclosure by that third party by imposing appropriate contractual obligations. When storing or using personal information, efforts will be made to prevent unauthorized access to personal information and risk of loss, falsification, leaks, etc. of personal information by reasonable technical measures. Within the scope necessary for achievement of the above “1. Purpose of Use of Personal Information,” the Company will endeavor to ensure that the content of personal information is accurate and current. In case a customer, supplier, or other party with which the Company has transactions wishes to confirm, correct, or stop the use of personal information supplied by the said party, which is held by the Company, the Company will comply with such requests within a reasonable extent, after first confirming the identity of the party making the request. The Company complies with the laws and regulations of Japan and other standards relating to the protection of personal information of customers, suppliers, and others which the Company has transactions, and continuously reviews and strives to improve the contents of this policy.